While spring is a hard season to dress for (too cold yet too hot?) I feel like there are a few types of clothes which are good for both the spring and summer. Today I wanted to share with you a few pics I’ve seen of culottes and how they are styled. So, here are a few inspiration I found on Pinterest! Don’t they just look SO elegant chic?! You can dress it up or dress it down and it never fails to impress. And bonus – they look flattering on all body types! They are also the perfect summer piece as they’re very flowy and breezy while also being super fashionable. I love the idea of pairing loose culottes with a tight top too! And I feel like for winter, you could pair the culotte with a tight long sleeved top and still look very chic but feel very warm. I recently got a jumpsuit which feature loose culotte type bottoms and ever since then, I’ve been obsessed! 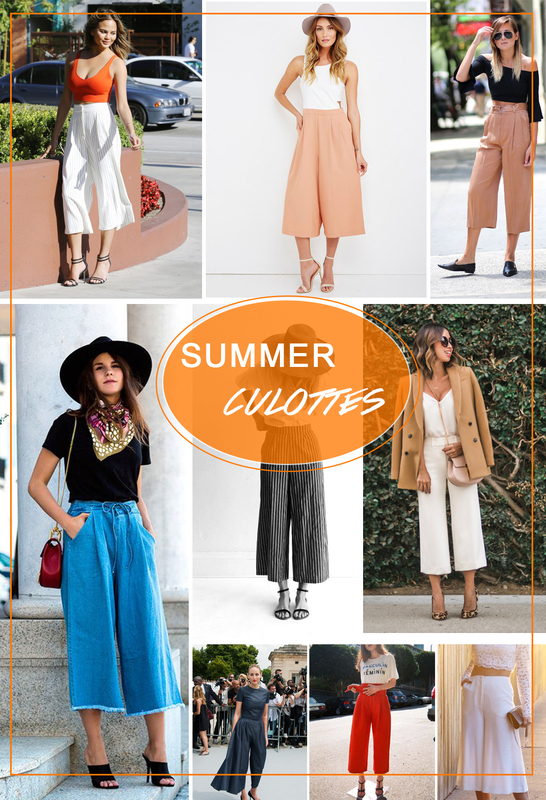 I hope you enjoyed looking at these culottes inspiration I found on pinterest and I can’t wait to show how I style them!